In May 1868, the United States and the Crow Tribe (Apsáalooke) signed the Second Treaty of Fort Laramie. In the treaty, the Tribe ceded a large piece of its reservation lands to the United States. However, tribal leaders reserved the right to hunt on those lands, even though they were no longer part of the reservation. The treaty clearly states that the Tribe could continue to hunt on the ceded lands, as they always had done, so long as the lands remained unoccupied by settlement and the Tribe maintained peace with the United States. For the Tribe and its citizens, this stipulation was essential because, for many Crow people, hunting was (and still is today) not only a way of life, but also an essential means of survival. The conditions of that treaty are still in force today. 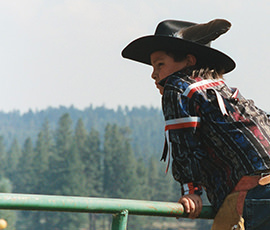 Today, more than 9,000 of the Crow Tribe’s 14,000 enrolled citizens live on the Crow Indian Reservation. Hunting for food and survival is still a vital and necessary part of their culture and way of life. In 2014, Crow citizen Clayvin Herrera and other tribal members went hunting on the Crow Reservation. They followed a herd of elk from the Reservation into the Bighorn National Forest where they shot and killed three elk, then took the meat back home to help provide food for the winter. Subsequently, the State of Wyoming cited Herrera for illegally taking an elk in the Bighorn National Forest in Wyoming. 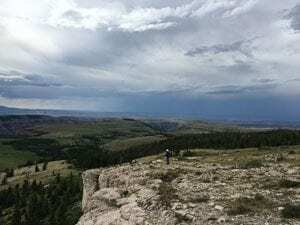 Despite the off-reservation hunting rights that had been promised to the Crow Tribe since 1868, Herrera was found guilty by a state court in Wyoming. A state appellate court affirmed the lower court’s decision, and the Wyoming Supreme Court denied review. The Wyoming courts also declined to allow NARF’s client, the Crow Tribe, to file briefs. Herrera petitioned for certiorari to the U.S. Supreme Court onOctober 5, 2017, and NARF’s client, the Crow Tribe, filed an amicus brief on November 9, 2017. In January 2018, the Supreme Court requested the views of the Solicitor General on the case, and on May 15, 2018, the United States filed its brief recommending that the Court grant the petition and hear the case. The petition was granted at the June 21, 2018, conference. Now that the U.S. Supreme Court has agreed to hear the case, briefing on the merits of the case is underway (available from the Tribal Supreme Court Project website). In early September 2018, NARF filed a brief for the Crow Tribe explaining why the Tribe still legally has the right to hunt in the lands that it gave up in 1868. NARF continues to represent the Crow Tribe on the case. A decision in the case is pending.